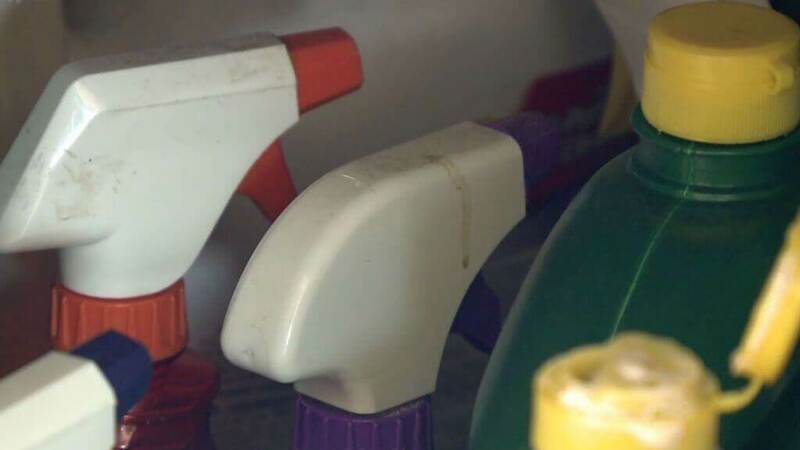 Toxic Cleaning Products - What's In Yours? You are here: Home / NewsMom News / In The News #ReportersNotebook / What’s In Your Cleaning Products? Now, as a consumer reporter, I am well aware that those claims are largely unregulated and companies are not required to disclose all the ingredients in their porducts. However, as a busy working mom, I rarely have time to research each ingredient (unless it’s for a story), so I generally take claims as a loose guide. The Environmental Working Group’s latest update of their Healthy Cleaning Guide caught me by surprise. It ranks more than 2,500 products—with grades ranging from A to F—based on their safety and transparency of ingredients. The guide has been around since 2012, but EWG just added an additional 400 products. When reviewing the updated list, I noticed one baby brand we often use at home (that ends in “ganics”) got a variety of different ratings on EWG’s guide ranging from A-D. Same products, different ratings. It just goes to show how often manufacturers are changing formulations and ingredients, and how hard they are to track. Samara Geller said they were shocked to find more than half of the products tested are still getting a poor score for ingredient disclosure. EWG stresses the point of their guide is not to scare people away from using products, but rather to give consumers access to information that is not readily available and that manufacturers are not required to print on the bottle. The guide is also obviously intended to encourage the industry to increase disclosure about ingredients. EWG is currently working on new legislation that would require more disclosure. …products must meet all applicable federal and state quality, safety and labeling regulations.